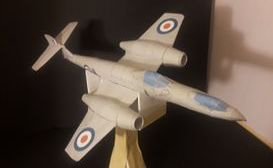 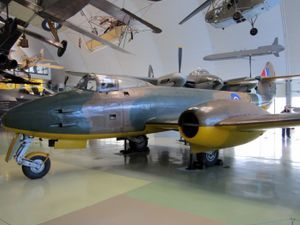 The Gloster Meteor was the first British jet fighter and the Allies' only jet aircraft to achieve combat operations during the Second World War. 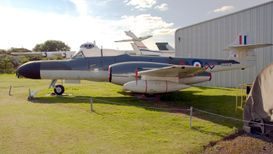 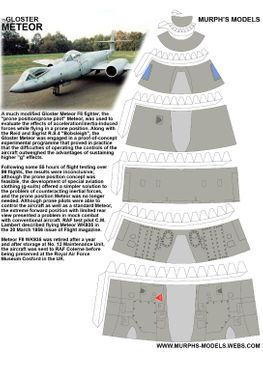 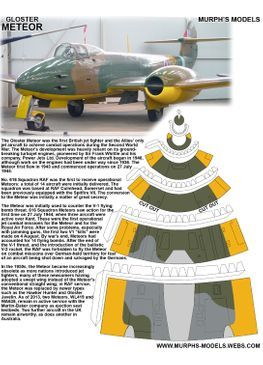 The Meteor's development was heavily reliant on its ground-breaking turbojetengines, pioneered by Sir Frank Whittle and his company, Power Jets Ltd. Development of the aircraft began in 1940, although work on the engines had been under way since 1936. 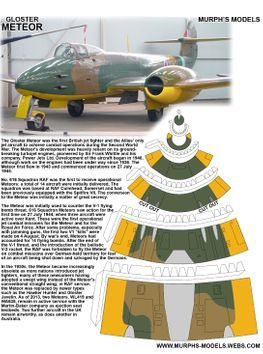 The Meteor first flew in 1943 and commenced operations on 27 July 1944 with No. 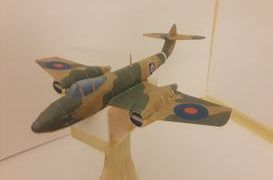 616 Squadron RAF. 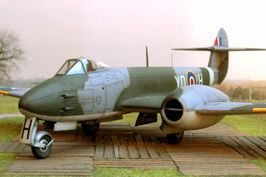 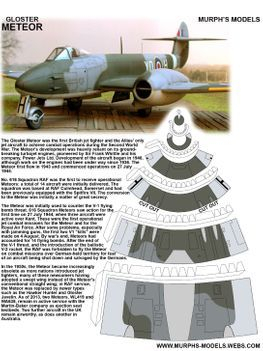 The Meteor was not a sophisticated aircraft in its aerodynamics, but proved to be a successful combat fighter. 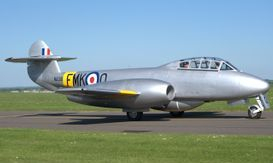 Gloster's 1946 civil Meteor F.4 demonstrator G-AIDC was the first civilian-registered jet aircraft in the world.